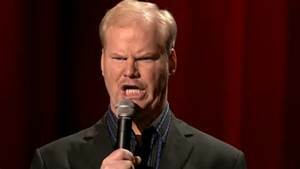 Jim Gaffigan is a true talent even though unfortunately he is a pretty big liberal. He is an absolutely hilarious stand up comedian and he was tuned into the Democratic debate and might have sent out the funniest tweet of the night. Yeah, so do we Jim. Pretty solid commentary on the debate as a whole. The whole night was basically Bernie and Hillary arguing with each other about who was more liberal, who hates Republicans more, and who wants to raise taxes more.